It was not such long time ago that Multiplayer games appeared first, but they are already highly popular with the players. There are several reasons for that. First of all the players who choose such games can play the game they like together and at the same time and get the feeling of something real going on. 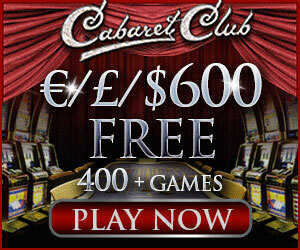 In fact Multi-player games make the players feel as if they were in a real casino but give all advantages common to online casinos at the same time. Now the players can meet new people while playing their favorite casino games without leaving their convenient living rooms! Being one of the leaders of the industry of online gambling development Microgaming is leading in new multi-player games development as well. The first game is named Leagues of Fortune and it is a video slot with 1024 ways to win. So the game gives over a thousand possible ways to win after each spin as well as up to thirty five free spins and great 5x multiplier bonus. The theme of the game is a deep sea adventures. With such features this game will surely gain lots of players’ attention. Karate Pig is the second game on the list of newly added multiplayer games. This one is a fun game featuring a pig who is the master of martial-arts. Basically it is a video slot with 40 paylines and the feature that makes it stand out is the stacked wilds which allow picking up the multi-line wins easily. The free spins bonus round is fun too and there is another bonus feature with the pig doing different karate moves. In case of this game two factors (fun and multi-player feature) will add up to its success. Many players are sure to join it to enjoy its atmosphere together. Actually Microgaming already has a list of many great multiplayer games. At the moment the players have choice of seventeen multi-player games and their number keeps on growing pretty fast. Now the players will have the chance to try out the Karate Pig the multi-player game in the slots tournament 5that is coming soon and will last for three days. This game should be just perfect for a tournament contest thanks to its atmosphere of fun and the fact that it gives the possibility for the players to communicate with each other. So please join in and let us wait what Microgaming comes up with in the nearest future after that!